Hitari: What is it about toys and gamers? Okay maybe toy is the wrong word? "Collectables" or "figurines" are possibly more accurate phrases for people over the age of 15, but either way I'm sure you know where I'm coming from. 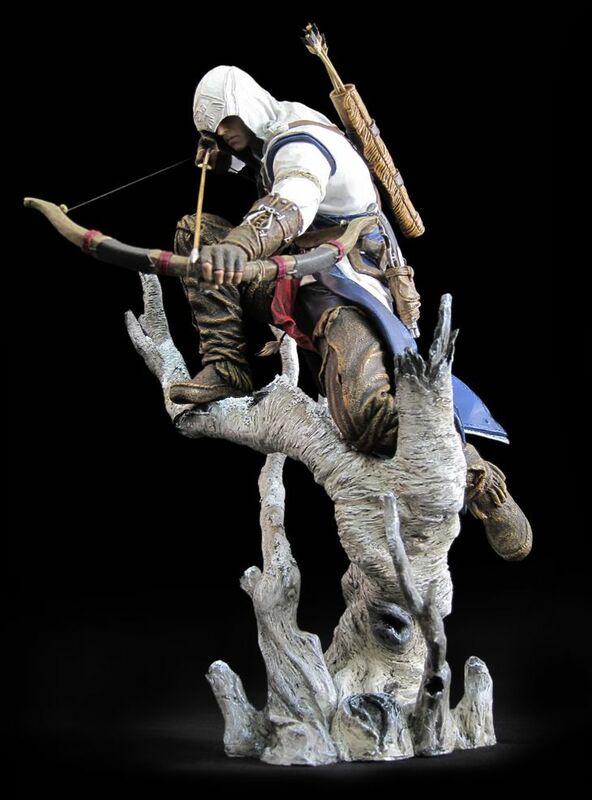 "Why have collectables, figurines and dare I say it “toys”, become such an important part of gaming culture?" 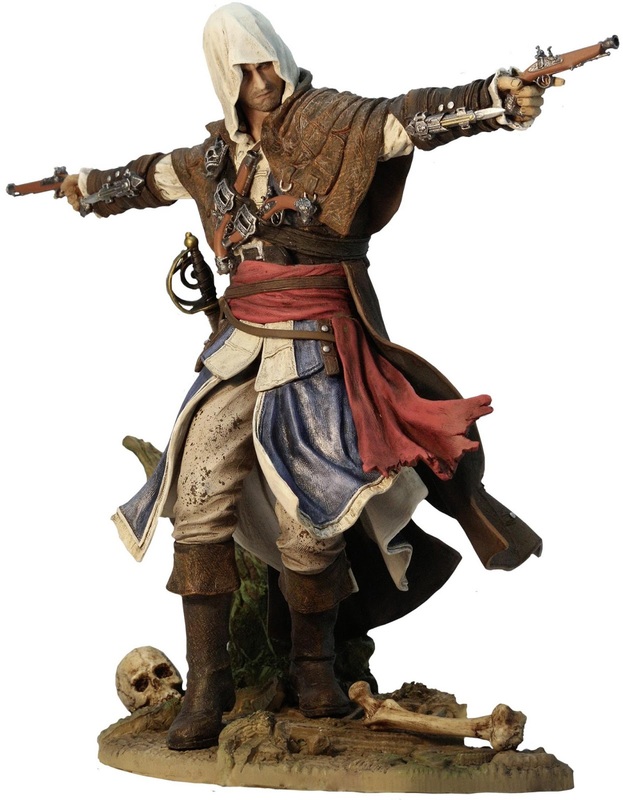 "Toys" and "collectables" are areas we as a company are going to be exploring over the next year and with the release of the new “Edward Kenway The Assassin Pirate” figurine from Assassins Creed IV in October (yes, that’s a plug) questions like this keep popping up. Granted, you see similar characteristics with film buffs too; rare is it you go to a film lover’s house without seeing a Citizen Kane, The Seventh Seal or Pulp Fiction poster in their bedroom (or spare room if they are married). So it's no surprise that most enthusiasts within any medium like to stockpile anything that's associated with their passion. Nevertheless there is something slightly more eccentric about collecting “figurines” that separates it from the mundane hoarding of posters, box sets and celluloid film cell memorabilia. I realise I could be making massive over-generalisations, so if I'm missing something please correct me. How about Star Wars? That had this biggest profits of toy merchandise ever. I don't think toys are associated solely with gamers. Yeah good point, but it does seem today (this generation) that the toy collecting culture seems to be associated with gamers (or anime/manga fans). Anything with a cult following could capitalise on potential toy merch. Even in the old days with charlie chaplin toys. If nerds like it then there will surely be some kind of "put on my shelf" merchandise they will crème over. To be honest, every game nerd I know that owns a toy related to games, never actually play with them. They are pretty much like statues or ornaments. Yeah this is true. I guess it just goes back to the Star wars point. Fans just love to collect. Toys is a bad word for this. It isn't as if gamers play with them like kids, they collect them. Like stamps and stuff like that. I think the toy brand just makes it seem juvenile when it really isn't. A lot of artistry and craftsmanship goes into to making great toys. Yeah I realised Toys maybe a little misleading, but what other word is there? merchandise or memorabilia is a little too general ... Figures/figurines is a little too specific. You have to be a mega film buff to have a Seventh Seal poster ha ha. The Kenaway figure looks pretty damn awesome though. Definatly massive over-generalisations, but yeah toys are a little too much. Posters are good, untill you get a gf.